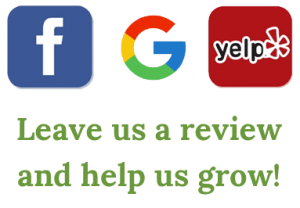 Tuesday, April 16, 2019 from 1 p.m. – 3 p.m.
On Thursday, April 18 the Concord Garden Club hosted a talk by Ara Lynn, owner of Amazing Flower Farm in New Ipswich, who presented a slide show of exciting new plants for 2019. The slide show was followed by a hands-on workshop on planning one’s own container gardens using some of these plants. Lynn described how Amazing Flower Farm creates their distinctive hanging baskets and patio pots. 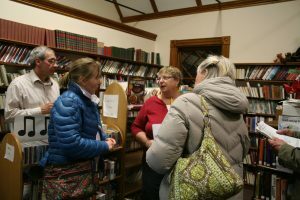 The workshop was held at the Baker Free Library in Bow, NH, at 509 South St, Bow. The Garden Club meeting ran from 1-3pm. The public was invited. Remember this? 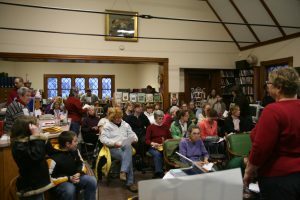 Our first workshop with Margaret Hagen was held in March in 2011. It was cold & snowy out, but we packed the New Ipswich library! Margaret talked about starting seeds and planting a vegetable garden. This season we are lucky enough to have Margaret back again to do a Container Gardening workshop. First she will show us some interesting ways to put plants together, then we will have to opportunity to make our own 10” Edible Container Garden. Choose from a selection of early-season, quickly harvested greens –suitable for cut-and-come-again harvesting—and edible flowers. Margaret Hagen is the former director of the Family, Home & Garden Education Center with UNH Cooperative Extension. For many years she wrote a weekly gardening column for the Nashua Telegraph and also hosted the “Grow it Green” gardening show on WMUR-TV. Children 12 & under/adult, sharing adult’s container garden, are free. $20 at the door. Includes the 10″ bowl you plant with edible greens & flowers. 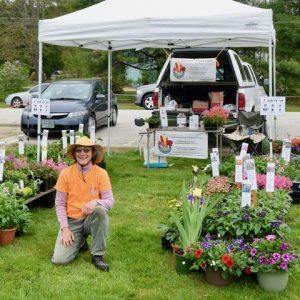 Saturday May 11, 2019 from 8:30 a.m. to 1 p.m.
Amazing Flower Farm will have a booth at the Amherst Garden Club Plant Sale featuring unusual annuals, perennials, herbs, and more! The Plant Sale is held at the Wilkins Elementary School in Amherst, NH. Visit us and support this local endeavor – proceeds from the sale go back to the local community. Monday June 17, 2019 from 8 p.m. to 10 p.m.
Kim Gebro, an integrative yoga, therapy, and meditation specialist, will lead a Qi Gong class among the flowers in the greenhouse under the full moon. Come experience this relaxing, meditative, gentle exercise in incredible surroundings! Beginners welcome. 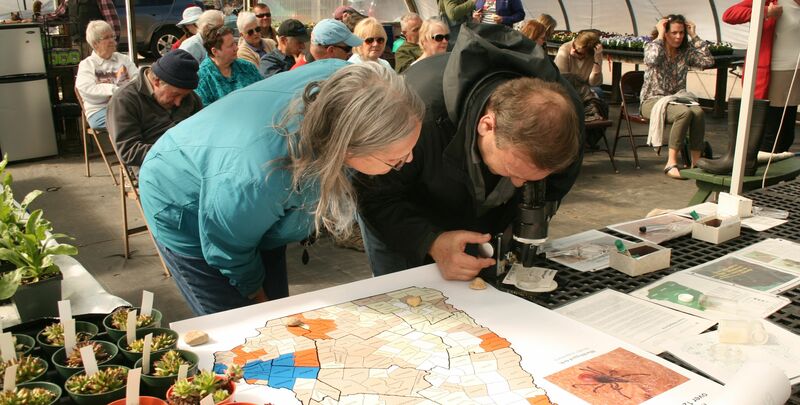 Roger Swain, former host of WGBH’s The Victory Garden, will share tips on harvesting your vegetables – including what to do when you forget to pick your beans, how to tell your melons are ripe, how to leave “no ground uncovered for long” and more. Roger will answer questions and provide valuable advice for local area vegetable gardeners.